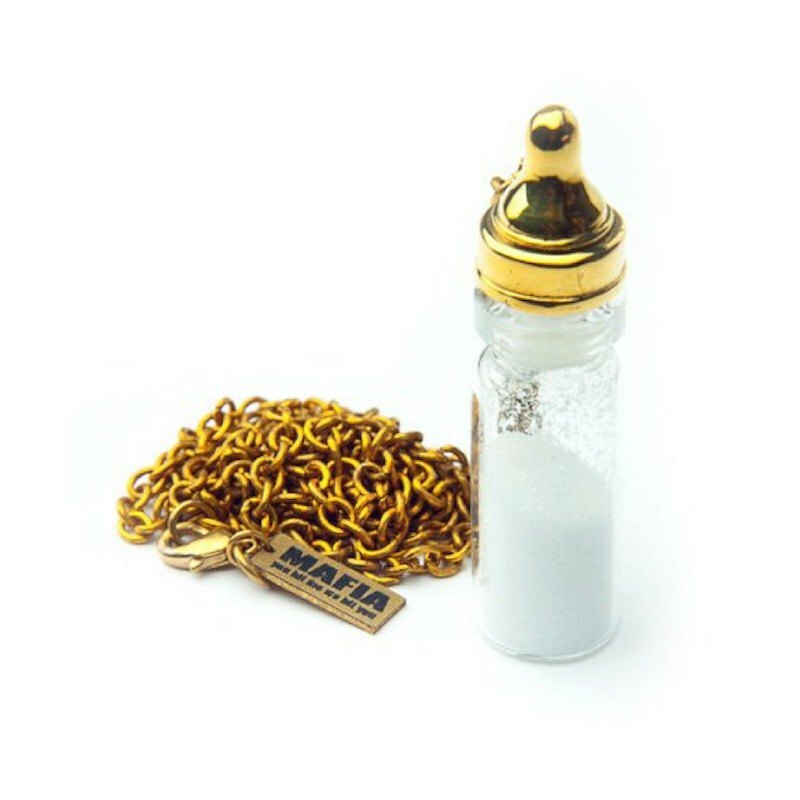 Nursing bottle in brass color ,Rocker jewelry ,Skull jewelry,Biker jewelry ▃▃▃▃▃▃▃▃▃▃▃▃▃▃▃▃▃▃▃▃▃▃▃▃▃ The pendants came with brass chain long 28" If you need other length of the chain please leave message to us during the checkout. We'll adjust with no additional charges. ▃▃▃▃▃▃▃▃▃▃▃▃▃▃▃▃▃▃▃▃▃▃▃▃▃ Care instructions: "Brass & White Bronze" will naturally oxidize over time. You may see a patina develop over your jewelry. To enjoy this antique look simply wear your jewelry as usual. If you prefer a shinier look, use a Metal cleaner,Metal polishing cloth or lemon juice to restore your jewelry's luster. ▃▃▃▃▃▃▃▃▃▃▃▃▃▃▃▃▃▃▃▃▃▃▃▃▃ All item will arrive with mafia fabric bag put in mafia jewelry box look great.